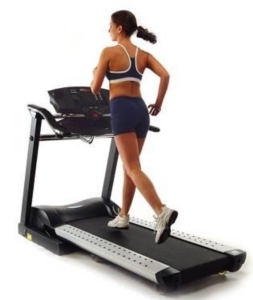 The Smooth 9.25X treadmill will please even the most critical long distance runner. Ease of use? Nothing kills the buzz of a good treadmill workout than having to refer to the owner's manual. A treadmill display should be simple to read and program and in this respect the Smooth 9.25X is an electronic marvel. 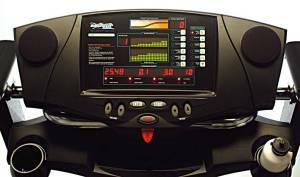 Not only are Smooth treadmills easy to program, they are synonymous with stability, which Runner’s World magazine ranks as the most important treadmill attribute. UPDATE: The Smooth 9.25x has been discontinued. Check out our top picks under $1000 for comparable machines. The lifetime treadmill warranty on the Smooth 9.25X just about says it all. Even the generous lifetime warranty on parts is exceptional for cardio exercise machines which are designed for heavy use. There is a cheaper sibling with a couple of less features — the 9.25 HR model — but for the $200 price difference, the warranty on the Smooth 9.25X model makes this a good buy. Experts also like to point out that Smooth treadmills have an excellent reputation for customer service and support from the company. People who have owned the Smooth 9.25X treadmill find that aggressive workouts are no problem. Unmotivated walkers and runners are drawn in to continuing and completing their workout thanks to this beauty’s styling and smooth feel. With the quiet motor humming under the hood, you'll be able to hear the TV or radio, especially when you utilize the built-in speakers. 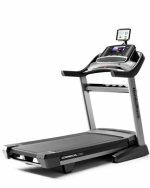 The Smooth 9.25X is also notable in that big guys (up to 400 lbs) can use it, and those with long strides will appreciate the generous 62” treadmill deck. Going head to head at a lofty retail price of $3000 to $3500, the Smooth 9.25X treadmill is competing against Precor models that may have a slight edge in offering better value but the huge weight and large base of this machine gives it a solid commercial feel.